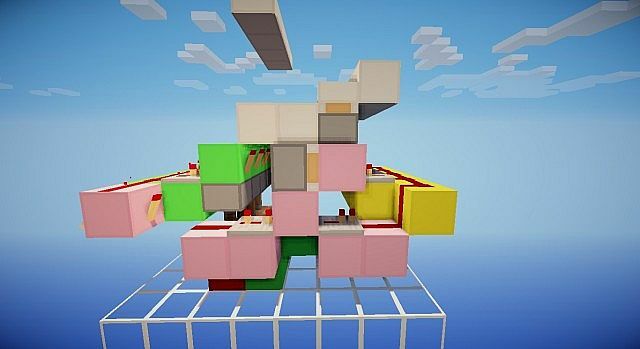 Cubical 2.0 - 1.7.10 Ready! 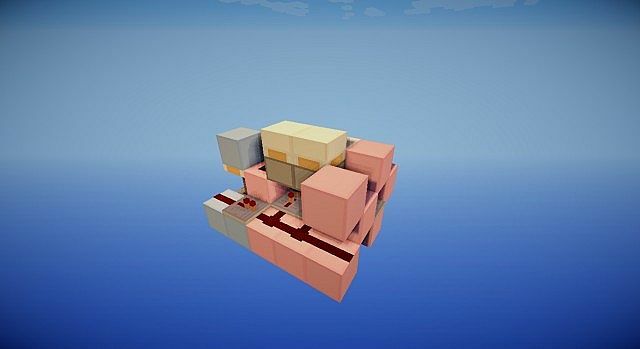 Cubical is a Texture Pack made for Redstoners. It allows that huge systems don't be disorganized. It was inspired in the oCd and Paper Cut-Out packs. A simple simplistic pack using default collors. I no longer have Pre-1.7 Downloads. 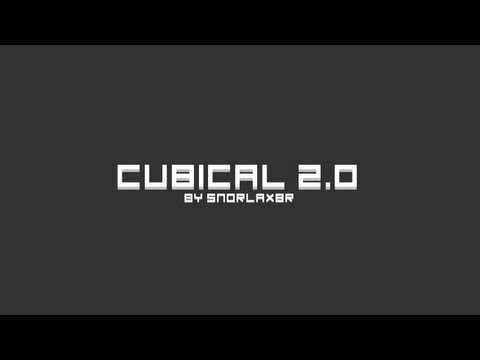 I would like to thank you all for giving Cubical 2.0 some love! I never expected it to reach more than 70.000 downloads! I haven't updated Cubical 2.0 for a while. But I am working on a Cubical 3.0! Everyone is saying this is a complete copy of oCd. It's different. 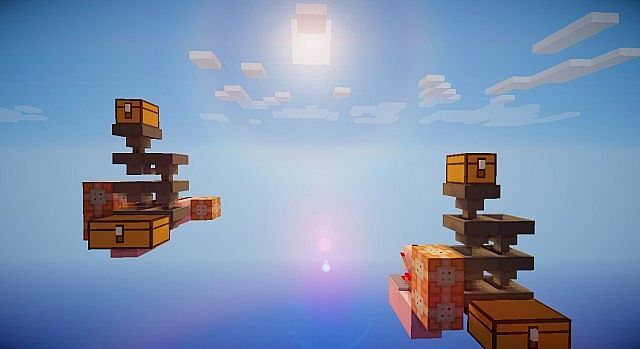 How can it be that different if it's a simplistic texture pack? The only thing that looks equal are the chests. i was just thiking that you should fix fireworks, because when i set them off they make noise but dont actually explode. i was hoping you could fix this. For fireworks, when I use them, I don't see its colors when it explodes. 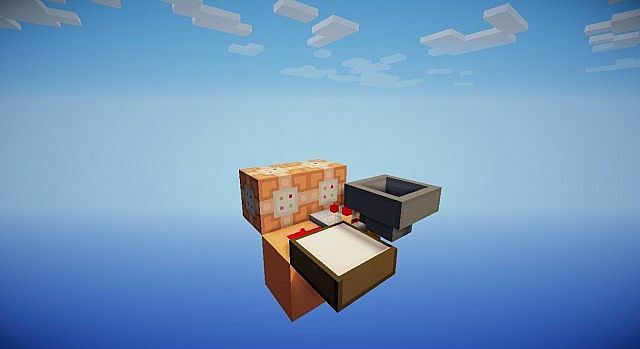 So for the next update in 1.8, could you add it and other effects? 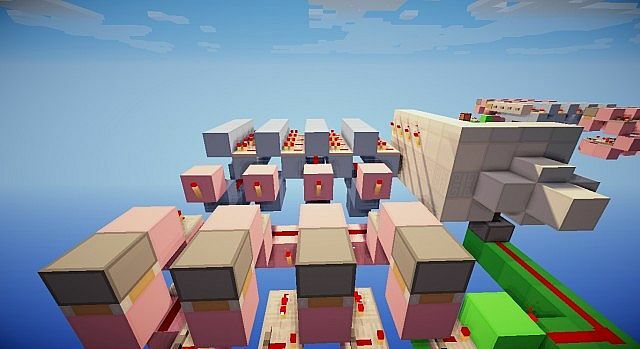 Note blocks, I dont see the music note at the top. Im wondering if you could add all the effects you can so it'll be more cooler? Will People Stop saying it's stolen! I really like this pack, and when you get it you notice obvious differences from oCd, yes, a few of the textures look similar to oCd. But if you ever try and make a very simplistic pack that doesn't resemble oCd in any way to anyone you'll realise it's practically impossible if you want to make it look good. I prefer this to oCd as it adds more content and texures and I prefer these anyway. 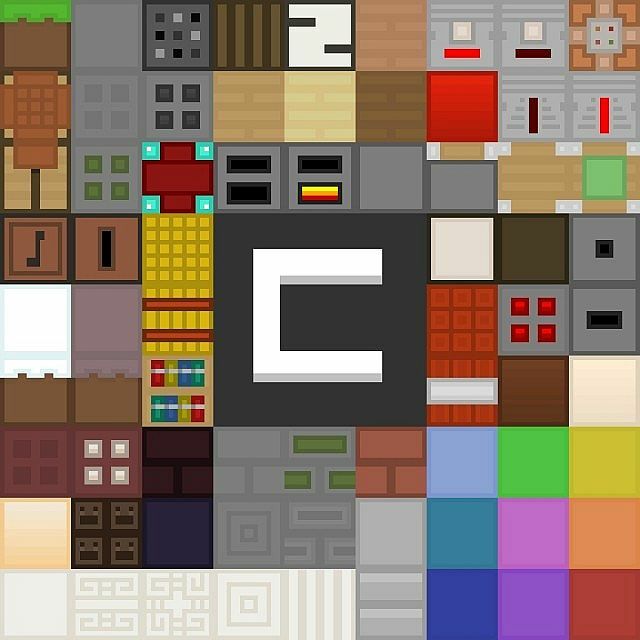 If you are going to make a comment on a texture pack, I recommend starting from the download and noticing the loads of differences between Cubical 2.0 and oCd. I wouldn't download it because I have Discos oCd pack. Removed submission. Remix texture packs are not allowed. They contain copyrighted content created by someone else and therefore you do not have the rights to distribute. 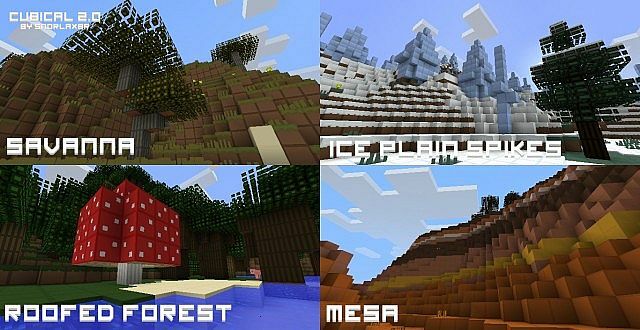 This includes Mixing Texture Packs, Minor Changes, Painterly Packs, Recoloring / Inverting, X-Ray and more. 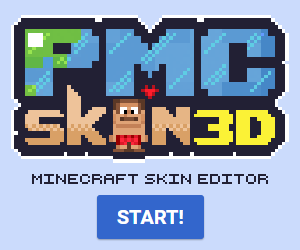 Take your time and make an original texture pack. Thanks. I don't think this was inspired by oCd. 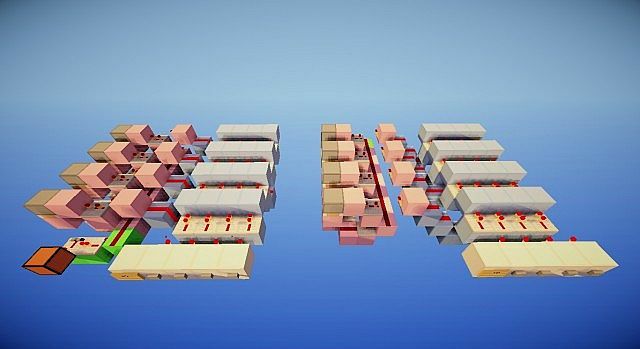 These blocks LITERALLY look like the same thing as the oCd ones. Flagging. This is a copied texture of oCd. Bedrock, Obsidian, Cobblestone, Mossy Cobble, and Coal Ore. Lies. This is obviously oCd textures. Download the pack, then compare them. If you haven't downloaded please, don't even compare them. I bet that when you download it you will notice that there are lots and lots of differences. Are you kidding me, right? First it is nearly 1:1 of Simplecraft, now it is 1:1 of oCd? SimpleCraft and oCd are WAY different! Have you downloaded the pack? Download the pack, then compare the packs. Yes, I am kidding you. This is the new Ocd! I had a little problem, that is stone being really like clay and grave. I think you should do something to change that, it's really annoying. Awesome, downloading it right now. Experimenting 13w36a textures... may upload tomorrow. weres the link it says its deleted? I'd like to request that you make the first screenshot something that actually shows what it looks like instead of just a big C. Most people viewing this have no idea what kind of pack it is or what they're giving views and XP to. You may say "ok" but I don't see that you actually did it. Major Uptade to Cubical 2.0! Did you base this on oCd pack? I'm not having a go but a lot of textures look the same. Yeah, oCd and Paper Cut-Out inspired me :)But Cubical was done by me, there are lots of differences if you compare the packs. Even closer to the 10th Diamond! 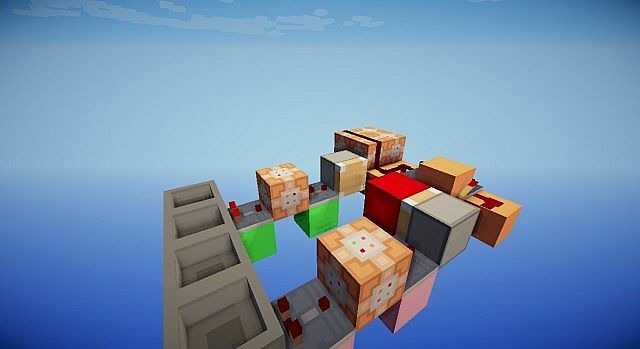 Cubic as Gold m1.5pre |16x|1.4.7|13w07a|With Animations!